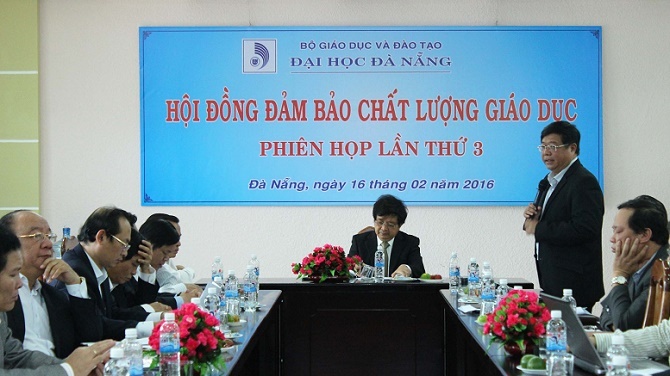 On February 16th, 2016, the 3rd meeting of Council for Educational Quality Accreditation (CEQA) of the University of Danang (UD) was organized withthe participation of President of UD, leaders of member universities and college, affiliated units and functional departments of the UD. This was a meeting to summarize the activities of educational quality assurance of UD in the 2010-2015 period and set out orientations and measures for effective implementation of this task in the period of 2016-2020, especially for the period of 2016, 2017. 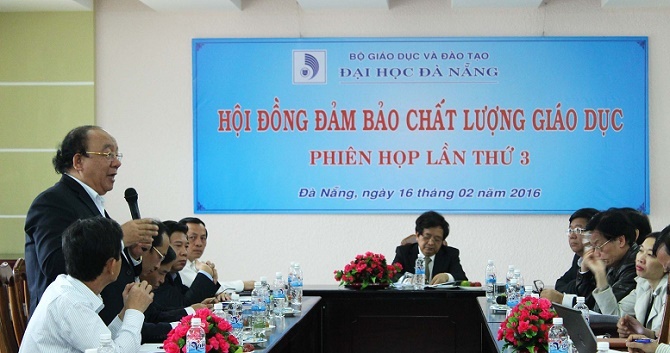 In the steering speech, Prof. Dr. Tran Van Nam - President of UD, Chairman of CEQA has emphasized that in recent time UD and its members have sent many officials to domestic and foreign institutions for fostering and learning EQA’s experience. He also appreciated EQA activities at UD in recent years with great success. Outstanding result achieved in 2015 is that the University of Education - UD has been the first university in the nation which got success in educational quality accreditation under standards of the Ministry of Education and Training. Center for Educational Quality – UD, was licensed by the Ministry of Education and Training, has been allowed to provide training of accreditor for higher education and professional post high school institution. Besides, Prof. Dr. Tran Van Nam also said that in the coming time it was necessary to invest with a strong focus on the quality accreditation of training programs under AUN-QA standards. Following the University of Science and Technology were the remaining members. The heads of the units should direct a drastic way to do a good accreditation, especially to issue and rearrange outcomes standards, to implement training truly under outcomes standards. 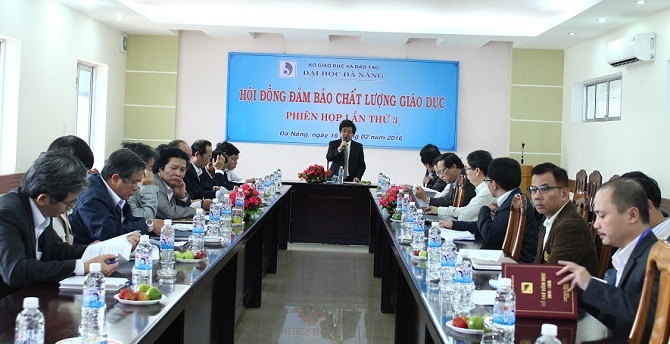 At the meeting, Dr. Dinh Thanh Viet - Assoc.Prof. 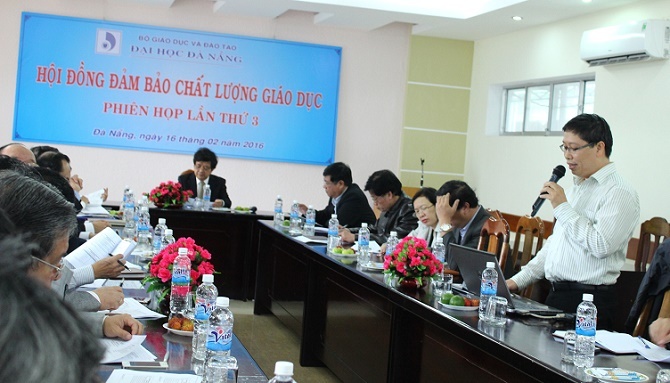 Dinh Thanh Viet – Member of CEQA, UD, Director of EQA Department, UD made report on EQA activities in the year 2015,orientation to the period of 2016-2017 and put forward solutions for successful QA for higher education institutions and training programs. Prof. Dr. Tran Van Nam synthesized the comments and offered the specific direction through 8 orientation to important EQA activities of UD in the period 2016-2017 including: (1) strengthening the EQA network, promulgating the regulation on organization and operation of the EQA units at all levels; (2) registering EQA at institution level with specific plan and roadmap; (3) registering EQA at training programs level, balancing resources to arrange the order of priority as appropriate to ensure the viability and achieve its set objectives; (4) enhancing training classes on EQA to UD’s members; (5) offering technical support, infrastructure and experience sharing on external evaluation; (6) searching, sorting, and storaging evidences to serve EQA activities (7) standardizing website of UD and its members with full information of EQA’s activities; (8) seeking new projects including international projects related to EQA, promoting international cooperation on EQA with the advanced countries.